photoshoot | Sen1989 "The Prince Of Urban Media"
As we all know B.Scott is a huge internet celeb! He has become quite popular over the years, because now he is hanging out with people like Nicki Minaj and Mariah Carey! 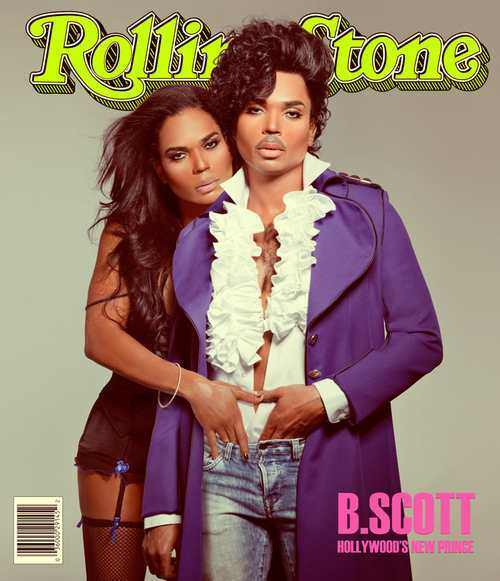 Maybe thats the reason Derek Blanks asked B.Scott personally to do the shoot you see above! Toya shoots with jadore magazine!! Toya seems to be enjoying the celebrity life as she did a shoot for Jadore Magazine. Toya tweeted and answered questions on ustream from her fans as she got fly for her shoot, she even rocked a pair of SB Shades.